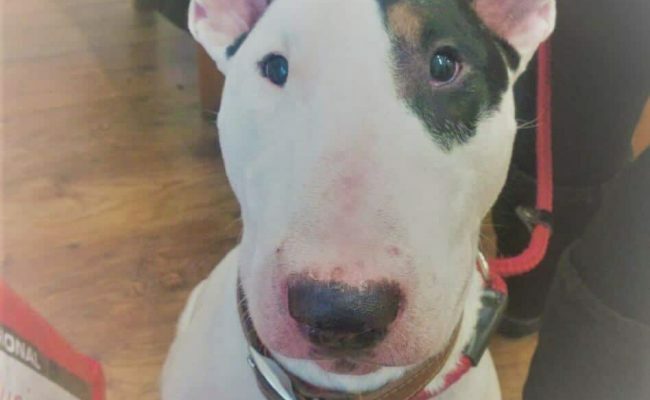 This is Bullseye, an English Bull Terrier, approximately 4 years old, taken into care after he was abandoned. Bullseye is a sweet dog, who is now enjoying life again in his foster home. He’s an affectionate dog and likes a cuddle, is house trained and knows some basic commands. 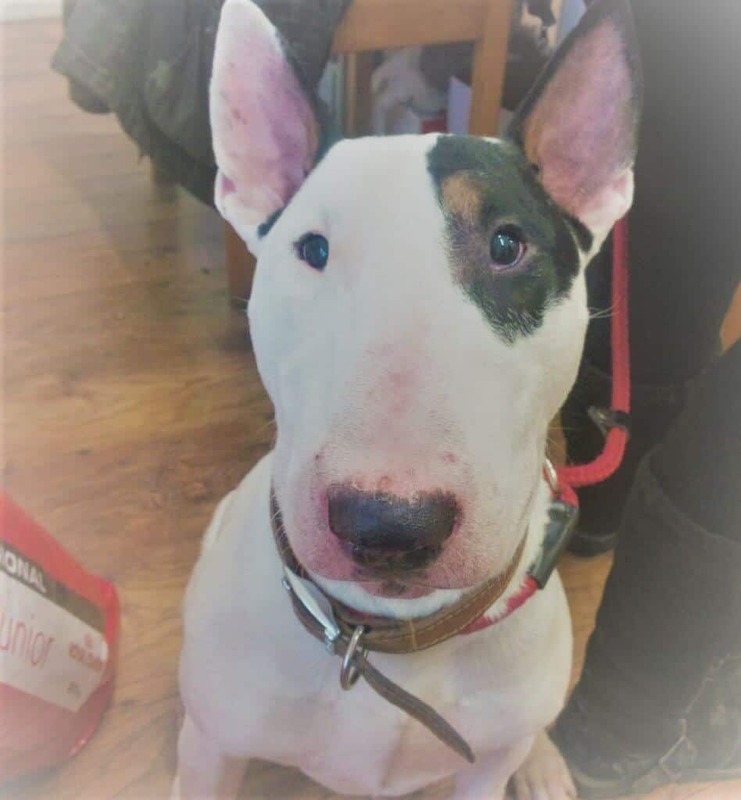 Bullseye is looking for an new and experienced owner who has had dogs before and who would be willing and able to do some further training. Unfortunately, he wouldn’t suit someone who works full time. Bullseye can live with children aged at least 10 years old in his new home. Bullseye has been good with dogs when out walking, so could possibly live with a calm female. If you are interested in giving a new home to Bullseye, please get in touch with the owners-keepers today. Pets can be listed for adoption by private individuals, animal charities or voluntary groups, and each will have different contact preferences and adoption procedures.